These white gold Celtic earrings have been hall marked by the Irish Assay Office at Dublin Castle. 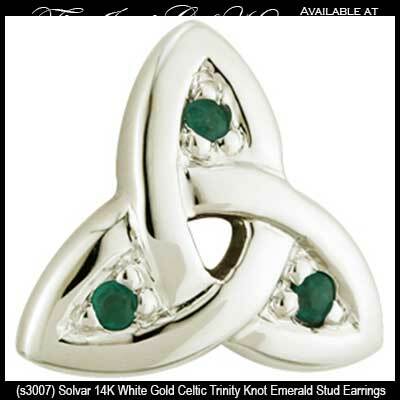 These 14K white gold Celtic stud earrings, with push on butterfly backs, feature Trinity knots that are festooned with emeralds. 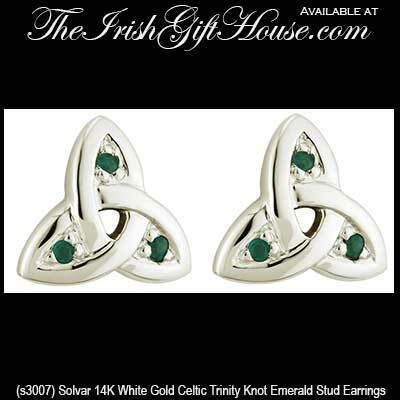 The Celtic stud earrings measure 5/16” wide x 5/16" tall and are made by Solvar Jewelry in Dublin, Ireland.